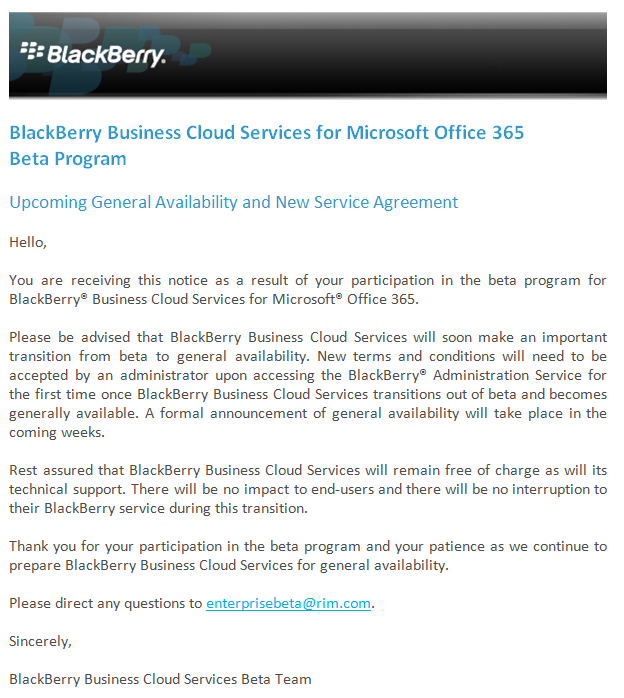 Blackberry soon to go live (out of beta) in Office 365! Earlier this week, RIM announced – through an email to existing customers – that their service would go out of beta somewhere in the next few weeks. There would be no change in support and the service would remain free. However; existing customers would be required to re-accept new terms and conditions. At the moment, it’s not clear what changes will be made to the terms and conditions. My best guess is that changes will mostly involve service availability and support.